We offer a range of VacuLifter Red Line mains and battery powered vacuum lifting equipment to lift porous and non porous products. We offer a standard range of vacuum lifting devices but also make specials to order. We offer a range of Vacu-Lift battery powered 'Diamond' vacuum lifting devices to lift porous and non porous products. The Diamond range starts with a basic device that can be supplied with different suction pad configurations to lift a variety of products in the vertical and horizontal planes. The devices can also rotate 180 degrees and pivot 90 degrees. We offer this standard range of battery operated vacuum lifting devices but also make specials to order. We offer a range of VacuLifter Green Line self-suction vacuum lifting equipment to lift non porous products. 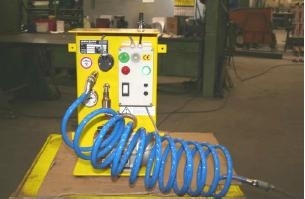 These units create their own vacuum when lifted so can be used from any hoist and can easily be moved. We offer Vacu-Lift vacuum lifting stations that are a small, lightweight and flexible solution for limited space, fast changing loads, ergonomic problems and quick handling of small parts. 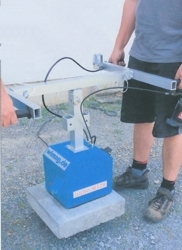 We offer a range of hand operated WIMAG battery powered vacuum lifters for porous and non porous surfaces. 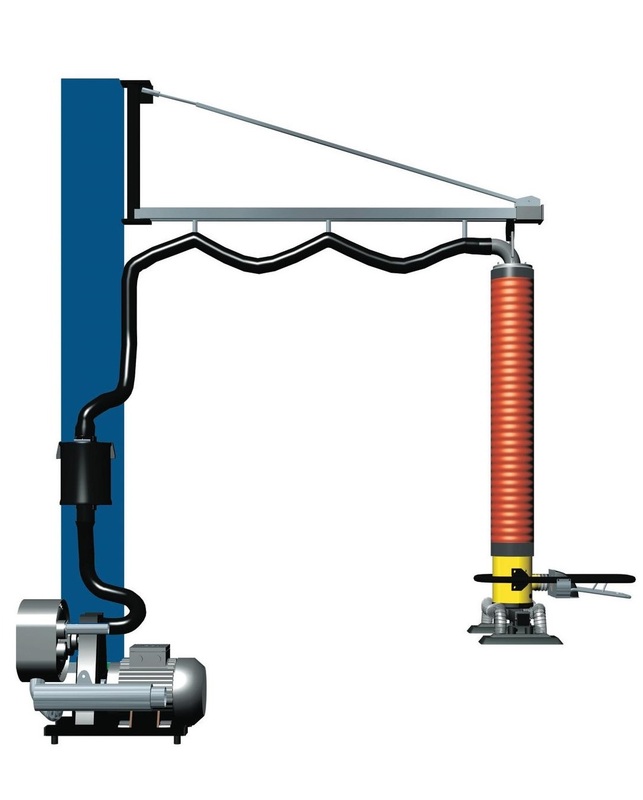 The VacuEasylift vacuum hoist uses its own pump and motor unit to create the vacuum to grip the load as well as raise and lower it by expanding or contracting its lift tube. Its advantage it is speed of use, whilst retaining complete and accurate control. 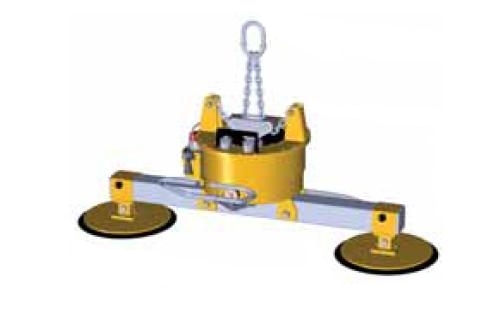 The Vacueasylift can be supplied with a huge range of suction feet to lift most products, whether porous or non porous. The Vacueasylift can also be supplied with battery power for use on a forklift truck in a warehouse and also to unload a container! Suitable for suspending on a jib crane, overhead crane, runway beam or gantry. We offer a range of hand operated lever action vacuum lifters. Here at Anglia Handling Services Ltd, our high quality Vacuum lifting equipment is just one of the many types of lifting gear we provide. If you’re in the construction industry, we can not only supply you with the best, but also with a large variety of vacuum lifting equipment options that will suit most of your applications; add to that that we offer one of the most all-encompassing services in the UK and you’ve found the perfect supplier for all your vacuum equipment hire needs. Our equipment conforms to a wide range of forms, including powered vacuum lifting beams, self-suction vacuum lifting beams, battery operated vacuum lifters and hand operated vacuum lifters, and all of it is brought to you in accordance with the very highest of standards. 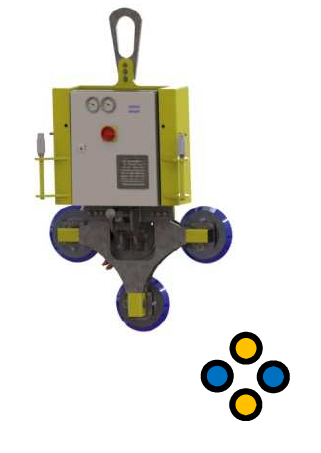 As one the top vacuum lifting equipment suppliers, you can rest easy in the knowledge that all of our equipment is designed to lend strength and safety when large and heavy objects need to be lifted. With our equipment, you’ll be able to move a large variety of materials from glass panels to ceramic or metal products. We know that safety is paramount when moving such objects, so all of our vacuum lifting equipment maintains the standards set by the Lifting Equipment Engineer’s Association Code of Practice, and is rigorously checked and tested to make certain that it’s fully fit for purpose. Whether the object you’re moving is a typical example of its type, or more of an irregular sort of load, our vacuum lifting equipment can ensure that it’s dealt with safely and efficiently. We also promise that our vacuum lifting equipment is one of the finest examples in terms of durability, reliability and safety. We always maintain our commitment to our valued customers by offering all our services at some of the best and most reasonable prices in the UK. If you have any questions in regards to what our vacuum lifting equipment can do for you, or if you would like to find out more about our services, gives us a call on 01767 312125 and our professional and friendly team will be pleased to help you.